University College Dublin and Malcolm Reading Consultants (MRC) revealed today [19 April 2018] the six shortlisted teams in the Future Campus – University College Dublin International Design Competition. The teams were the unanimous choice of a selection panel that was chaired by the competition jury chair Professor Andrew J. Deeks, President of University College Dublin. The shortlist was expanded from the expected five to six in recognition of the outstanding response from the international design community. The finalist teams won their places on the basis of submissions scored on relevant experience and team composition. The first stage of the competition attracted 98 teams from 28 countries. The finalist teams now have around 10 weeks before the competition’s second stage hand-in to draw up an urban design vision that foregrounds a highly-visible and welcoming entrance precinct and create a concept design for a charismatic yet integrated new 8,000 sqm building that expresses the University’s creativity: the circa €48m Centre for Creative Design. The Future Campus project is intended to create a stronger physical presence and identity for the University within Dublin. The jury will assess the final submissions and interview the teams in the summer. ”We are interested in the outstanding. ”In holding this competition, we are seeking a design that will become an icon for the University – representing our vision to create something extraordinary and brilliant. 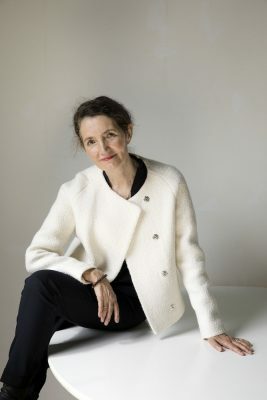 “The competition was very successful in drawing a global response, as well as one that was distinguished by high quality, thoughtful submissions. “We appreciate the effort that competitors made and it was a privilege to receive so many good submissions. What linked the teams that rose to the top of the list was their confidence with the scale of the project; they convinced us through their submissions that they had the flair to create something exceptional. “The leading universities now compete across national boundaries, and University College Dublin has shown great imagination and initiative in searching globally for an outstanding design team. A site visit for the finalists will take place later this month; each finalist team will receive an honorarium of €40,000 for their work and international teams are required to team up with a local executive team for the second stage. Further members of the jury have also been announced. The full jury is: Professor Andrew J. Deeks, University College Dublin President (chair) with Malcolm Reading, Architect and Competition Director as the administrative chair; also, Sir David Adjaye, Principal, Adjaye Associates; Ann Beha, Principal, Ann Beha Architects and member, Harvard University Design Advisory Panel; acclaimed urban planner Joe Berridge, Partner, Urban Strategies, Inc.; Professor Hugh Campbell, Professor of Architecture, Head of Subject and Dean, School of Architecture, Planning & Environmental Policy, UCD; Dermot Desmond, Chairman, International Investment & Underwriting; Professor Orla Feely, Vice President, Research, Innovation and Impact and Professor of Electronic Engineering, UCD; Professor David FitzPatrick, Principal, College of Engineering and Architecture and Dean of Engineering, UCD and Provost, Beijing-Dublin International College; Professor Michael Monaghan, Vice President, Campus Development, UCD; Sean Mulryan, Founder and CEO, Ballymore Group; and Paul Thompson, Vice-Chancellor, Royal College of Art, London. Known as Ireland’s Global University, University College Dublin (UCD) is the country’s largest and most internationally-engaged higher education body, the destination of choice for international students coming to Ireland. It is also the most popular choice for Irish students seeking a university place in their home country. The competition winner announcement is anticipated to be in August 2018. The competition is run in accordance with EU procurement rules and the Republic of Ireland’s S.I. No. 284/2016 European Union (Award of Public Authority Contracts) Regulations 2016. This competition has been advertised in the Official Journal of the European Union (OJEU). 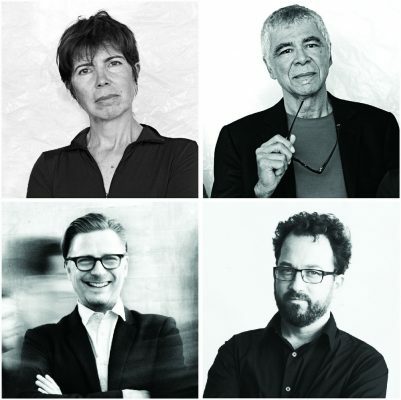 Founded in 1981, Diller Scofidio + Renfro is a New York-based design studio whose work spans architecture, urban design, multimedia art, and performance. DS+R completed two of the largest architecture and planning initiatives in NYC’s recent history: the adaptive reuse of obsolete rail infrastructure into the High Line, a 1.5 mile-long park; and the transformation of Lincoln Center for the Performing Arts’ half-century-old campus. DS+R has completed academic buildings for institutions including Columbia University, Brown University, and the University of California, Berkeley; and is working on buildings for the University of Sydney, University of Chicago, and University of Toronto. Current projects include The Shed and the expansion of MoMA, both in New York. DS+R will design the Centre for Music, a permanent home for the London Symphony Orchestra. For the Entrance Precinct Masterplan and Centre for Creative Design at UCD, DS+R will collaborate with Sasaki and Ireland-based Scott Tallon Walker. 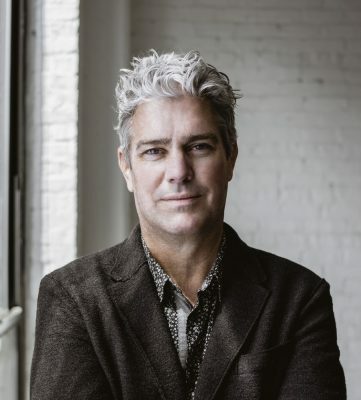 John Ronan Architects is an internationally-recognised architecture firm committed to design excellence whose work is marked by conceptual innovation, exploration of materiality and a rigorous attention to detail. The studio’s working method is research-based, interdisciplinary and collaborative. Led by Principal John Ronan, the firm pursues an iterative design methodology to explore and test a wide range of design responses in order to find the appropriate response that feels intuitively correct for each individual situation, based on its client, site, program and context – cultural, historical, economic and social. The firm’s noteworthy honours include being named one of seven finalist firms for the Obama Presidential Library (2016), ranked #4 in Architect magazine’s Best Design Firms in America (2017), and the winner of multiple AIA Institute National Honor Awards. For each project the office undertakes an exploratory investigation of space and materiality, issues of sustainability and the performance of the building over time. 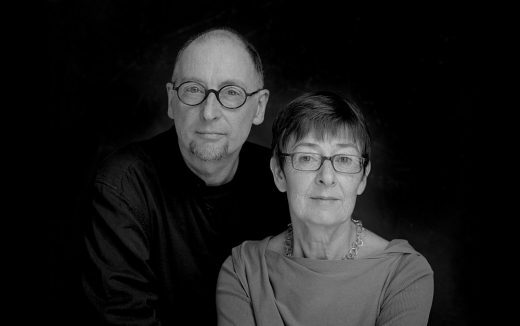 Sheila O’Donnell and John Tuomey have been in partnership since 1988 and are Practice Professors at UCD Architecture. Their buildings include the UCC Glucksman Gallery, the Central European University Budapest, the LSE Student Centre London and the Lyric Theatre Belfast. 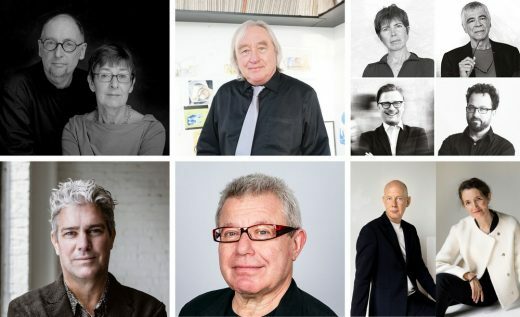 The practice has received more than 100 national and international awards and been seven times winners of the AAI Downes Medal; seven times finalists for the Mies Van der Rohe Award; and five times shortlisted for the Stirling Prize. In 2015 John Tuomey and Sheila O’Donnell received the RIBA Gold Medal, the world’s most prestigious architecture award. Their work has been widely published and exhibited in Europe, America and Asia. O’Donnell + Tuomey are a Dublin-based studio with an international reputation for engagement with complex urban situations and sensitive landscapes. At UCD they will collaborate with masterplan/urban design consultants Allies and Morrison (London). New York-based Hargreaves landscape architects and emerging practices Superposition and Plattenbau complete the architectural team. 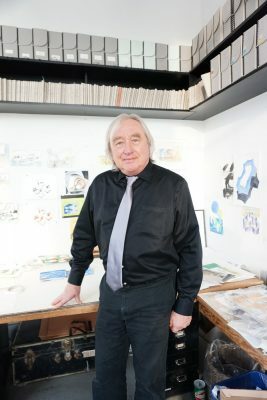 Steven Holl Architects is an award-winning architecture and urban design office based in New York and Beijing. Founded in 1977, the firm has extensive international experience in the arts, campus and educational facilities, and complex urban projects. With each project the firm explores new ways to integrate an organising idea with the programmatic and functional essence of a building. Rather than imposing a style upon different sites and climates, the unique character of a program and site become the starting point for an architectural idea. Past campus projects include the Museum of Fine Arts Houston Expansion and Glassell School, the Lewis Arts Complex at Princeton University, and the Reid Building at Glasgow School of Art. SHA has assembled an internationally acclaimed team with industry leading engineers Arup; innovative strategists Brightspot Strategy; award winning climate engineering firm Transsolar; and creative, sustainable landscape architects HarrisonStevens. Studio Libeskind (New York) is an international architecture practice that was established in 1989 by Daniel Libeskind in Berlin, Germany. The Studio is involved in realising a diverse array of award-winning urban, cultural and commercial projects worldwide including the Jewish Museum Berlin, the Royal Ontario Museum, the Denver Art Museum, and the master plan for the World Trade Center site. 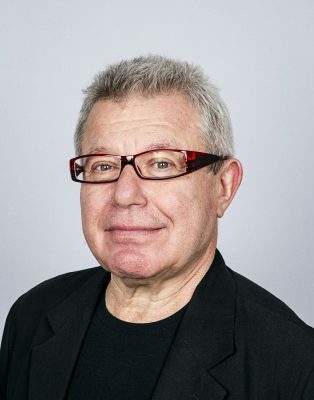 Mr. Libeskind speaks widely on the art of architecture. His built work and ideas have been the subject of many articles, publications, and exhibitions, influencing the field of architecture and the development of cities and culture. 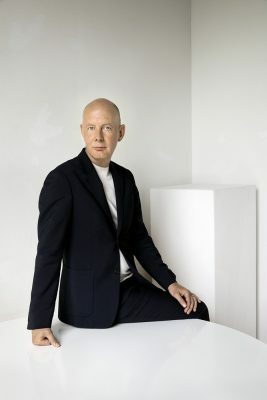 UNStudio, founded in 1988 by Ben van Berkel and Caroline Bos, is a Dutch studio specialising in architecture, interiors, product design, urban development and infrastructural projects. Throughout 30 years of international project experience, UNStudio expanded its capabilities through prolonged collaboration with renowned international consultants, partners, and advisors. This network, combined with centrally located offices in Amsterdam, Shanghai and Hong Kong, enables UNStudio to work efficiently anywhere in the world. With 120 built projects globally, the studio continues to expand its presence with recent commissions in China, South Korea, India and Germany. Current projects include Doha’s Metro Network in Qatar, the EuropaCity Cultural Center in Paris and the Gothenburg Cable-Car in Sweden. Pivotal realised projects include the Mercedes-Benz Museum in Stuttgart, Arnhem Central Station, Raffles City Hangzhou in China, the Mobius House and the Erasmus Bridge in the Netherlands. For UCD UNStudio has formed an international team with Arup and REDscape. 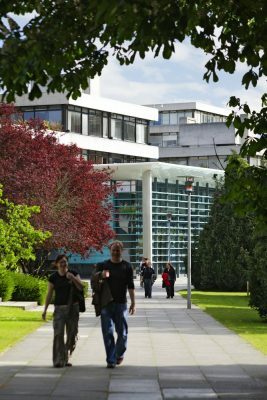 Founded over one hundred and sixty years ago, UCD is one of Europe’s leading research-intensive universities; an environment where undergraduate education, masters and PhD training, research, innovation and community engagement form a dynamic spectrum of activity. 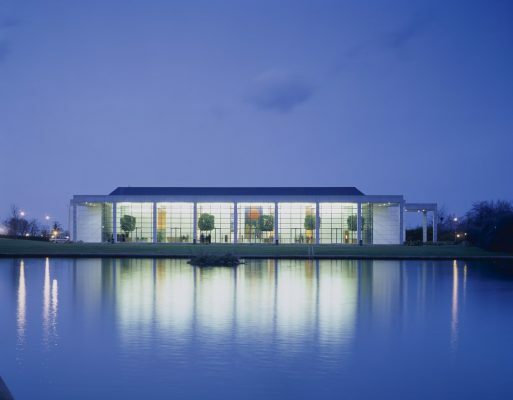 UCD is also Ireland’s most globally engaged university with over 33,000 students drawn from over 120 countries, and includes 5,500 students based at locations outside of Ireland. UCD is the university of first choice among Irish undergraduate students. The university has the highest proportion of graduate students in Ireland, including over 1,500 PhDs. Beyond its education and research remit the University is renowned for its sporting achievement. Eight UCD students took part in the 2016 Rio Olympic Games making up 10% of the Irish national team. They represented Ireland in rowing, athletics, hockey, and modern pentathlon, bringing home a silver medal in the men’s lightweight double sculls. 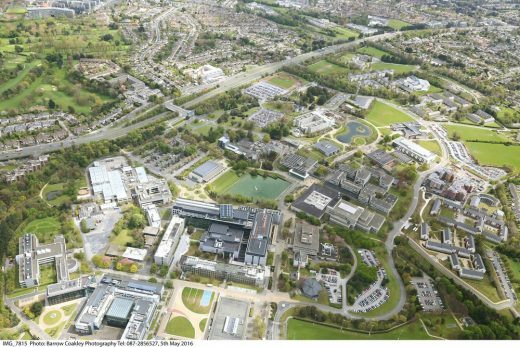 UCD’s main campus, known as the Belfield Campus, is located just four km from Dublin city centre and is notably green and expansive. The first campus masterplan was conceived by Polish architect Andrzej Wejchert, the winner of a competition held by UCD in 1963. Today, the campus covers 133 ha and contains over eight km of woodland walks, some of which are flanked by mature trees that date back to the 18th and 19th centuries. Through this project, UCD aims to increase the sense of arrival to the University by creating a highly-visible and welcoming entrance with greater presence from the road as well as looking to the future, creating an urban design vision that values high quality placemaking, architecture and public realm. The Centre for Creative Design will be located in a prominent position within the masterplan area and will be a charismatic new building that expresses the University’s creativity – a making and learning lab. 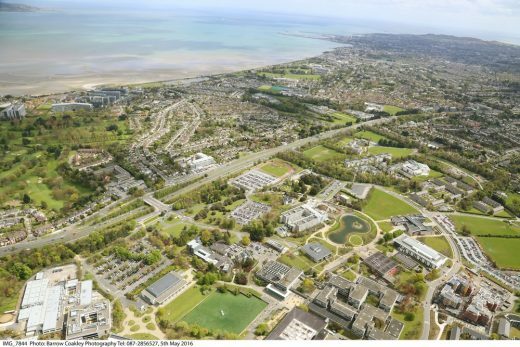 UCD is working closely with Dún Laoghaire-Rathdown County Council and the National Transport Authority on the Entrance Precinct Masterplan initiative. UCD has secured initial funding and will continue to fundraise for the project, targeting a mixture of private sources and public grants. A previous competition for development on the UCD campus, including its entrance, was launched in 2007. This project was to be led by UCD in conjunction with a development partner, but was subsequently cancelled due to the global economic downturn in 2008. The new project will be led and financed by UCD exclusively.